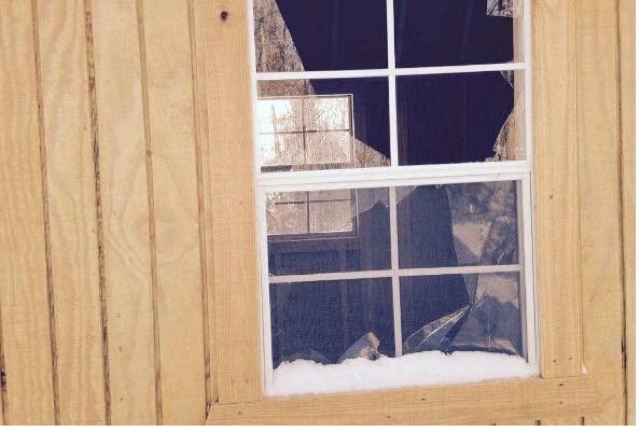 A Tiny House Hate crime: Gay tiny house owners attacked by hateful Neo Nazi for being Gay in a tiny house! When me and Charles first started our journey with the tiny house, we expected to run into some of the usual problems that can happen when working on a tiny home. We were worried about the delivery and if everything would go as planed transporting the tiny house up to the mountain and leveling it onto the edge of a very steep hill. 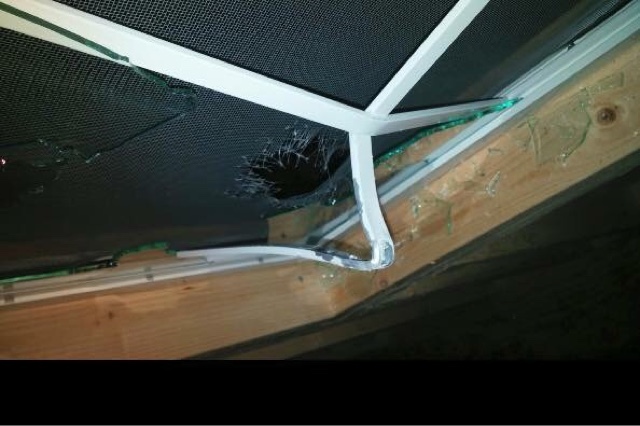 We were also concerned with everything that involved construction (operating power tools, using sharp blades, getting proper measurements and so on), Most of all, we were worried about the solar power and wiring the electricity for the tiny house, if done wrong we could have seriously gotten hurt. But what we were not worried about was being attacked and having someone destroy or damage our property for being a gay couple, especially in the 21st century. But, that's exactly what happened! Our tiny house had been delivered to our property and leveled out on cinder blocks. We spent our first weekend their, in the cold, with no electricity, plumbing, or heat, but we were so excited to get the tiny house project started! We came home on Monday and were planning to gather some building materials and head out the very next weekend, and we did. The problem tho, was that the Midwest was getting hit by a blizzard (ice mixed with snow) and driving conditions were poor. Charles had invested in a 4x4 truck and it made it all the way to the mountain, but fortunately didn't make the climb up. We had to turn around and go all the way back home. This was a good thing as it probably saved our life's! Two days latter, we received a call from the local police department in that area that some one had shot up our tiny house and caused some pretty severe damage! Two days latter, the man whom I shouldn't name, was found and arrested for the crime. A size comparison between the bullet hole and my fist. along with thousands of bb's covering every surface inside. It was a nightmare! Aside from the obvious holes in our walls, there were hundreds of tiny little bb imprints in the adjacent walls inside and some with bb's still in them that had to be removed from our walls. house is 116 square feet and that's including the loft. 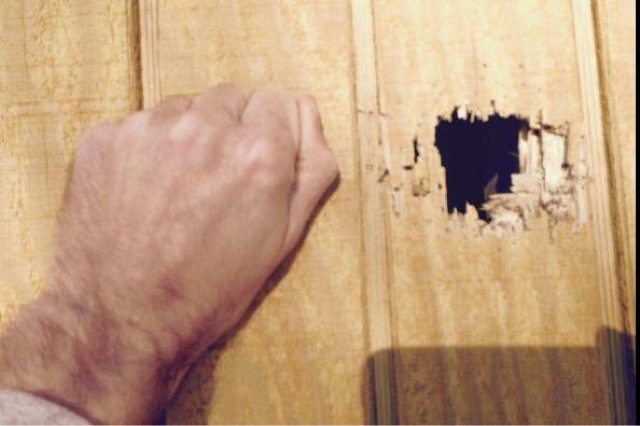 The gun shot straight through the walls and hit the other side of the house. The bb's ricocheted off the walls at lightening speed and made their way up to the loft. If me and Charles were inside, we would have been impaled, probably multiple times, and almost certainly died. Thank God we weren't their. You may be asking your self, why would we go to a town or area where something like this could happen to us? The answer is that its NOT the town, or the area, or the majority of the people in it. It was one man, in a RANDOM place, holding up where he actually should not have been. What people need to realize is that things like this still happen all over the world and all over the US for that matter. Anti-LGBT HATE is not a new thing. Its a thing that needs to be stopped. And, for those of you who think being gay is a choice- It's not! Its not a choice to be born man or woman, not a choice to be born African American, native American, or white! And certainly not a choice to fall in love with a man or a woman and NEED to spend the rest of your life with them to be happy! What of the man who did this to us? He is in prison and hopefully will be for a long time. Has this crime stopped us from chasing our tiny house dreams? Absolutely not! Charles and I are still actively working to complete our tiny house we named "The Classy Shack". We've actually gotten a lot done but still have even more to do. That is the purpose of this blog anyway, to allow you into our life's and see all of the progress we make with this tiny house build. We also plane on either building or buying a tumbleweed tiny house for travel, tho that may be a couple of years down the road. Since the hate crime, we have tried reaching out and getting this story to major news broadcasterslike fox2, channel 4 KMOV, channel 5, and ABC but none of them seem interested in broadcasting real stories. If there's one single message I want to get across here, its to embrace who you are (who ever you are), and to stand up for your rights as a human being. Don't let people bully you or hurt you or force you to conform to whats "right" in this society. Be you and be proud of who you are. Your worth it!